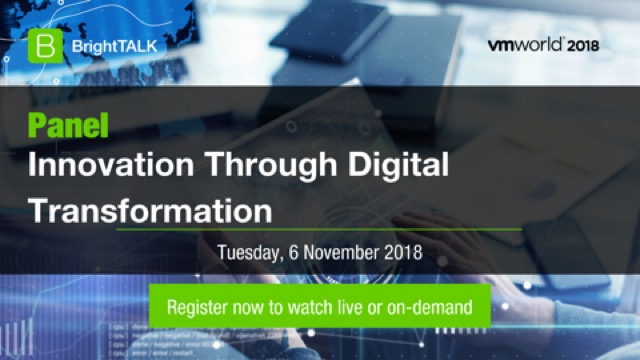 Join this live panel discussion with experts at VMworld Europe for up-to-date trends on what's disrupting the market and how to take your business to the next level. This live panel will be streamed directly from VMworld Europe! Join us for live Q&A from the comfort of your desk. With the recent changes to Java licensing, now is the time to learn about your options and discuss the Oracle Java footprint within your business. Please bring your questions to share during the session. Leave this webinar with a better understanding of what is changing regarding the licensing of Java SE and how it may affect your business. What’s going on with Oracle core technology workloads in the IaaS Cloud market? What customer activity are we seeing in that space? What are the opportunities and challenges? How have those opportunities and challenges shifted? Join this live webinar with Dave Welch, CTO and Chief Evangelist at House of Brick Technologies to answer these questions and more, and take a technical deep dive into Infrastructure-as-a-Service and the cloud market in 2019. So you have your Availability Groups (AG) configured and everything reports green. Learn how to measure for Service Level Agreement (SLA) compliance! Know when replication is delayed! Get notified when a failover occurs! In this session, we will teach the attendee how to implement proper monitoring and alerting. We will also show you what metrics and reports you should be reviewing regularly to ensure there are no surprises, such as pauses replication or unacceptable delays. For example, we will look at the DMVs, extended event sessions, perfmon counters, SQL agent jobs and alerts. We will show what to monitor in your AG, and how to setup alerting so you know when to take action. With just a few days to VMware’s premier digital infrastructure event, we've gathered some of the elite speakers who will be taking the stage to debate the hottest solutions, trends and the biggest opportunities and challenges for businesses to successfully embrace digital change. Join this session to get a glimpse of the innovations that will accelerate your journey to a software-defined business—from mobile devices to the data center and the cloud! This session (and VMworld Europe) is specifically aimed at CTOs, CIOs, heads of IT infrastructure, security specialists and technical experts. What will they be talking about at the Fira Gran Via Barcelona, on the 5 – 8 November 2018, what do they want to hear about, what are they looking forward to? Join us as we explore the options available to cloud users for ensuring High Availability (HA) in the cloud. Our discussion will include both native cloud options and Microsoft offerings on top of the cloud stack. As your Recovery Point Objective (RPO) and Recovery Time Objective (RTO) needs increasing, so do your HA needs. So let’s look at your options and examine best practices and how they can be applied to your environment. The process of establishing performance benchmarks and baselines is invaluable when it comes to understanding the health of your environment, and becomes even more crucial when dealing with business critical systems. In this session we will provide further insights regarding the importance of effective monitoring and metrics and how they can help you respond proactively to performance issues. We will also discuss best practices for monitoring and metrics as related to physical and virtual servers, storage, and databases. You’ll leave with a better understanding of key considerations for determining performance baselines and benchmarks; the various categories of metrics and monitoring tools; a list of recommended reports, tools, and software; and best practices for gaining insights into the performance of your business critical systems. In this presentation House of Brick Technologies, a leader in optimizing Oracle on Linux over the past decade, will offer SQL Server and Windows admins guidance on managing SQL Server on Linux. You’ll leave with a better understanding of key considerations for installing SQL Server on Linux, the ways SQL Server on Linux differs from traditional SQL Server installations, a list of recommended tools and reports, and best practices for managing your SQL Server on Linux instances. In this session, we will provide a summary of Oracle licensing by the contract, and explore Oracle audit practices referencing the Mars Incorporated lawsuit against Oracle. We will share recommendations to help you prepare for an Oracle audit, including VMware licensing information. In this presentation we will walk through a number of automation case studies. We will discuss the business problem addressed, how automation solved that problem, and the potential ROI experienced as a result. The examples featured will offer insights into how automation tooling played a large role in solving the client's core business issues, with a specific focus on Windows and PowerShell technologies. This will be an interactive session, so please feel free to bring your business problems and questions to share during the session. Public cloud planning is part of most organizations’ IT strategies. When it comes to the most critical enterprise systems however, planning for cloud adoption is more complicated. Nathan Biggs, CEO at House of Brick Technologies, a leader in virtualization and cloud computing for enterprise-class systems, will discuss options for deploying enterprise systems into public clouds. In addition, roadblocks to the cloud will be reviewed, and strategies for adoption will be considered. Nathan will also share predictions for what House of Brick expects for enterprise cloud adoption in the coming year. Join us for this in-depth, forward look into the future of cloud adoption and planning for the enterprise! As much as the term Cloud Computing gets tossed around these days you would think everyone’s using it. But do cloud predictions really match real world use? If you aren’t “in the cloud” are you already behind the competition? During this presentation, we will discuss the pros and cons of moving applications to the cloud, with a particular focus on business critical applications. We will share our experiences working with clients to determine if their applications are “cloud ready” through a review of availability, costs, and operational impacts. Examples of successful use cases in the public cloud will be explored including emerging technologies, DRaaS, new applications, older applications running on older hardware, and startups. You’ll leave with a better understanding of the types of applications that are best suited for the cloud, a list of questions you should be asking when considering moving to the cloud, and a checklist you can use to evaluate your application’s cloud readiness. In this session we will provide an overview of licensing Oracle programs using Infrastructure as a Service (IaaS) on POWER/AIX VMs in the Skytap Cloud. There is a lot of confusion around Oracle licensing, especially in virtualized or cloud environments. Many of the references to discussion points and legal challenges resulting from running virtualized x86 platforms apply directly to POWER environments as well. - Skytap Cloud is an effective option for IaaS, including for Oracle-based POWER/AIX applications. - The use of POWER/AIX VMs for Oracle workloads in Skytap Cloud ensures that Oracle workloads stay running only on licensed processors. - Skytap Cloud provides support for Oracle licensing by allocating dedicated resources to Oracle workloads. - In an Oracle audit, usage of Skytap Cloud environments will be documented as if the LPARs or servers are part of the customer’s on-premises environment. Software-defined storage is quickly becoming mainstream and not having to deal with all of the headaches of storage management can be a wonderful thing. Placing your tier 1 database workloads onto software-defined storage is possible, but it needs to be done correctly. Tier 1 database workloads are typically the most I/O intensive systems in an environment. Consequently, there are additional considerations that need to be taken into account in order to ensure performance and redundancy for these critical workloads. It doesn’t matter if your workload is SQL Server or Oracle, or if you are running Hyper-V or VMware, the concepts are the same. In this session, we will walk through SDS, and cover topics including: sizing your workload, validating performance characteristics, and following recommended best practices for placing your most important applications on SDS. Businesses sometime ignore Oracle database performance until poor performance impacts profitability, or the cost of Oracle licensing becomes significant. But this consideration frequently comes a bit late, and can cause tension between the business and technical staff. Hear how we have helped our clients bridge the gap between business needs and technical resources. Learn how using the right tools, like Statspack and AWR, can help identify performance trends and enable a healthy dialogue between the business, technical, DBA, developer, and infrastructure teams. Is the problem poorly performing hardware, misconfigured servers and instances, expensive SQL, and/or a lack of data life cycle management? An incorrect answer could place blame with the wrong department, increase frustration levels, and possibly result in higher hardware and software costs. So find the correct answer using the tools discussed in this webinar and facilitate a more cost effective and attainable solution for your business. There is a lot of confusion around Oracle licensing, especially in virtualized or Cloud environments. In this session, we will provide an overview of the Skytap Cloud, and what Skytap has done to facilitate Oracle license-compliance in their cloud. We will provide education on the principles of Oracle licensing, and information on how those principles are applied to workloads running in the Skytap Cloud. Advances in technology now have IT organizations evaluating hyper-converged solutions in lieu of building systems. Hyper-converged solutions integrate computers, networking, virtualization, flash storage, and management in one platform that accelerates deployment. In this session, we evaluate each component layer of these new hyper-converged technologies per the Oracle contract, with an eye to reducing rather than increasing database licensing quantities. Attending this session will give IT organizations a clear roadmap for managing database licensing, and offer next steps if additional resources are needed. DBAs and others attending this session will gain knowledge regarding how to apply licensing guidelines on hyper-converged platforms. Everyone is talking about Cloud Computing, but there seems to be wildly differing perspectives on what it means, how it works, and the costs and benefits of such a model. When it comes to databases and other business critical applications in the cloud, the message is even more confusing. In this session, we will discuss what House of Brick is seeing and hearing from large enterprises to small businesses. The session will present the “right questions” to ask about Tier 1 applications and cloud – from private to public and other key SaaS/DBaaS considerations. The professionals at House of Brick are skilled at all forms of managed consulting services, scalable architecture, project planning and component integration, and backup and disaster recovery. Experienced consultants and mentors, we connect the business management and the project management elements, providing you the continuity necessary for success. We make budgets work, reduce risk, and eliminate the element of surprise. We have been saving our clients time and money for more than a decade. At House of Brick Technologies, we are fully committed to providing our customers the opportunities they need to grow and succeed. To do this, we’ve based our company in the time-honored values of honesty, accountability, integrity and respect. It affects how we think and how we do business. Every member of the House of Brick team is dedicated to building lasting relationships with our customers – relationships that are firmly rooted in these core values.